Turns out that a full 82 percent of gamers are adults, according to a new survey from the gaming industry (which, of course, has a vested interest in promoting video game sales). Among the other findings from the Entertainment Software Association’s survey: the average gamer is 37 years old, about 42 percent of gamers are women, 55 percent of gamers are playing games on their phones (“Angry Birds,” anyone? ), and 45 percent of parents say they play games with their children (hopefully kid-friendly games like “LittleBigPlanet” rather than “Call of Duty”). 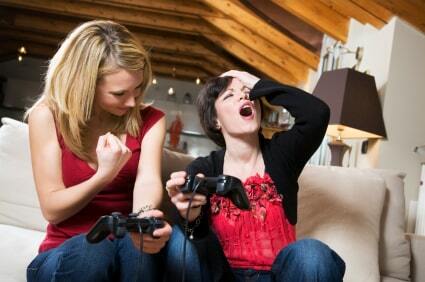 So, fellow grown-ups: Do you consider yourself a gamer? Do you play games mostly on your cell phone, or do you prefer a game console like the Nintendo Wii, the Xbox 360, or the PlayStation 3? Last but not least, do you worry about the video games your kids are playing, or do you trust them to avoid “Grand Theft Auto” and the like? Leave a comment below, or send me an email right here.